Huh? Someone want to explain the headline? 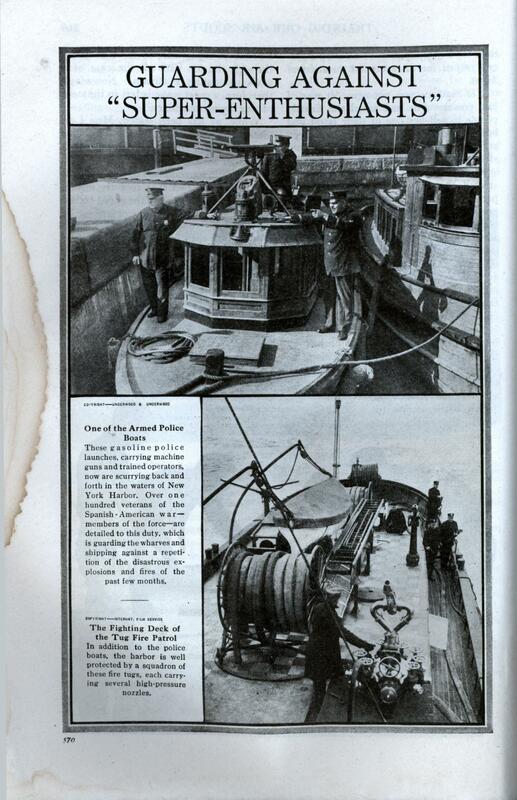 These gasoline police launches, carrying machine guns and trained operators, now are scurrying back and forth in the waters of New York Harbor. Over one hundred veterans of the Spanish-American war-members of the force—are detailed to this duty, which is guarding the wharves and shipping against a repetition of the disastrous explosions and fires of the past few months. In addition to the police boats, the harbor is well protected by a squadron of these fire tugs, each carrying several high-pressure nozzles. Yeah Tom. I heard about that incident. There also were “anarchists” tossing bombs into crowds shortly before that time, trying to get attention. “Super enthusiasts” is an odd way of referring to these guys though. A holdover from Victorian times I guess. 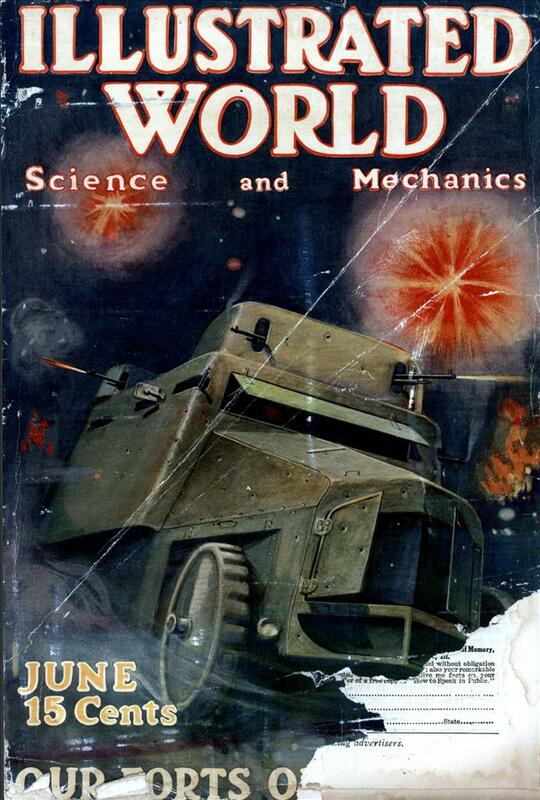 I agree with the above but I’d like to add that the cover sure looks like an MRAP vehicle. Hmm, I guess “super-enthusiast” does translate to “extremist”. Ah, the machine gun on top of the boat is an old Browning / Colt Model 1895 machine gun, AKA “Potato Digger”. It was a gas-operated weapon; a typical gas-operated weapon feeds firing gases to a piston that slams back to eject the spent round and load / fire the next one, but the Model 1895 had a little hinged arm under the barrel that pivoted down, with a mechanical linkage back to the bolt assembly. The hinged arm popped down every time the thing was fired — it’s odd to see a video of the Model 1895 being fired, it’s kind of “busy”. If the barrel didn’t have good clearance, the arm would dig a hole, hence the nickname. And speaking of NYPD and NYFD boats, Good Show! for the Airbus rescue from the Hudson the other day. There were more boats there than could be believed, and in incredible time, too. Not just NYPD and FDNY but MTA ferries and private operators were involved. Well done to all! nlpnt: Yes, sorry, I didn’t mean to slight them. It was a wonderful exhibition of people working together, spontaneously and unasked, for the common good. which in passing uses the quoted term “super enthusiests” to refer to Christian Fundalmentist who want America to become involved in the European War — However, the magazine article is from Jun 1917. U.S. declared war on Germany Apr 1917, so I’m not sure this would apply.